Shelsley SAE 20W-60. 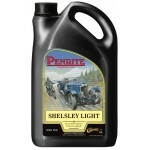 For classic cars from 1920 to 1950 requiring lower detergency, for engines in good condition. May be used were SAE 30 was previously used.